What’s the Best Study Option For Me? Training Consultants offers you the most efficient and effective training solutions to ensure you master the difficult exam concepts and have the confidence to pass your exam the first time. The Everything Package is our premium package consisting of a combination of all of the features of our Online Course, Live Class, and Textbook Packages. Looking to supplement a learning package that you are already working with? We’ve got you covered. Countless practice exams that mimic the actual exam experience. 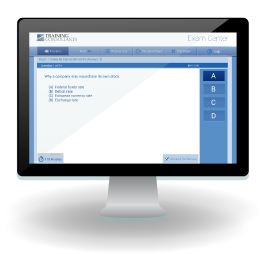 Our Series 9 Online ExamCenter gives you the ability to test your knowledge at multiple levels to gauge your knowledge level, identify areas needing improvement, and give you confidence you are prepared. 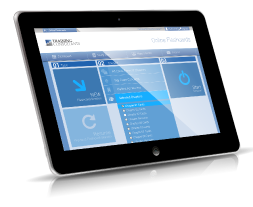 Our software features a simulation of the Proctor exam interface just like you will encounter on test day. Key features include. While our Online ExamCenter can be used separately, it is always most effective when used in conjunction with a full-featured study program and is included with each of our Full Learning Packages above. Save valuable time and effort. While our Online Flashcards can be used separately, they are always most effective when used in conjunction with our full-featured study program and are included in our Online Course Package and Everything Package. Let us help you find the perfect solution. Add your email to our announcement list. ©2019 Training Consultants LLC. All rights reserved.